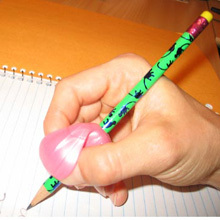 This pencil grip has “wings” that facilitates the tri-pod grasp, without the overlapping of the index finger or the thumb. Ergonomically correct for right and left hand. Made by "The Pencil Grip." Latex free. 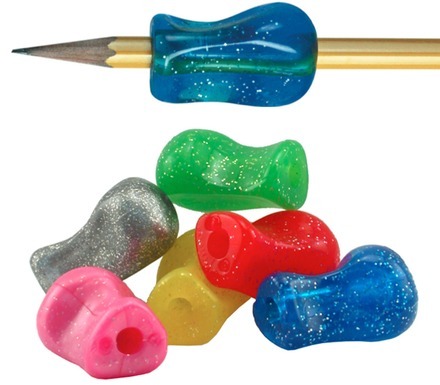 The original Pencil Grip but in glitter colours. 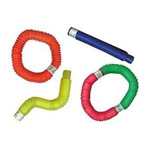 The Ezgrip greatly reduces grip forces needed to write. Can be used on a pencil, pen, scalpel or any other pencil-like instrument. 1.99 per grip.